It’s been a wile since my last blog. Boy have I been up to my neck is stuff, but still, it’s no excuse. 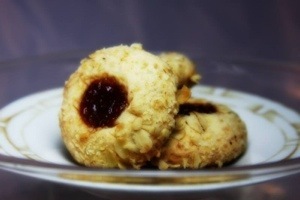 So today I bring to you a wonderful recipe I took from one or my Sunset Books about cookies. I’m not very good at making an baking cookies – unless of course making goo counts-. In a bowl or electric mixer, I creamed the butter and sugar until light in color and fluffy looking. Separate the yolks from the whites. Beat the yolks and vanilla into the butter mixture; then add the sifted flour and salt. Make sure all is well mixed. Shape the batter into balls of approximately 1 inch of diameter. Dip the ball in the whites an then roll on the oats. 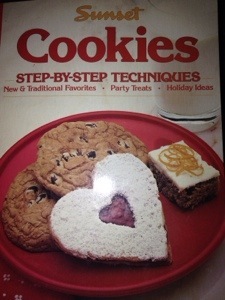 Place them on a cookie tray with some parchment paper about an inch apart. With your thumb or the tip of a spoon make a little dent in the center. 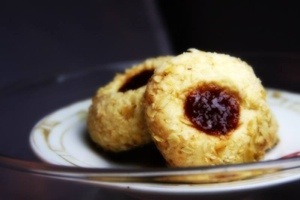 Fill each dent with your favorite jam and bake in an oven at 375° for 12 to 15 minutes or until golden. When done, set them aside to cool. They should look something like this. * This fruit is also known as masaranduba and sapotilla.